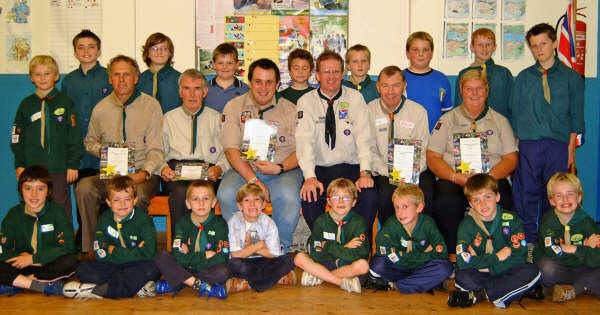 L to R: David Elliott, Joss Toombs, Martin Young, Noel Irwin (DC), Alan Jess and Mavis Kirk pictured with 1st Anahilt Cubs and Scouts. Noel Irwin - District Commissioner, presented National Scouting Volunteering Certificates to the leaders of 1st Anahilt Scout Group last Monday (25th September). Noel thanked all of the leaders for their long and dedicated service to the Scout Movement within the District and to Anahilt of their hospitality. The award winners were: David Elliott - Scout Leader, Alan Jess - Cub Scout Leader, Mavis Kirk - Beaver Leader, Martin Young - Assistant Cub Scout Leader and Joss Toombs - Assistant Group Scout Leader. 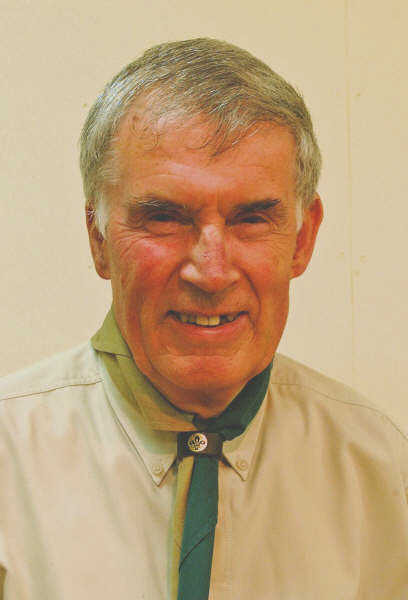 Joss Toombs, who has given over 60 years dedicated service to the Scout Movement, founded Anahilt Scouts Group in April 1946.